Following up on Tuesday’s post about ship crews, I wanted to go into a little bit more detail! 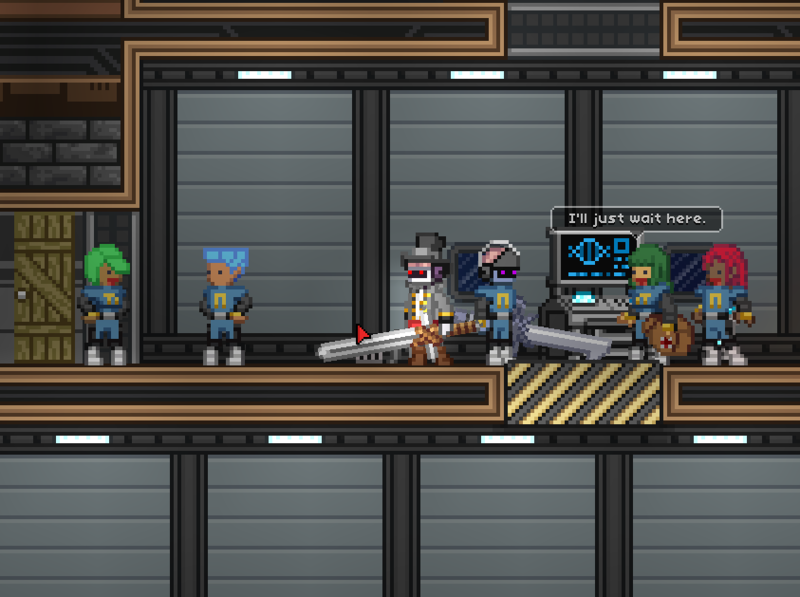 When an NPC asks to join your crew, they’ll have a particular role in mind for themselves – they may be a medic, or an engineer. Once they’re aboard, they’ll have a passive effect on you and your ship. A medic will heal you, a biologist will give you status effects, and an engineer can increase your fuel efficiency. If you decide you don’t like someone in your crew, you can give ’em the boot! 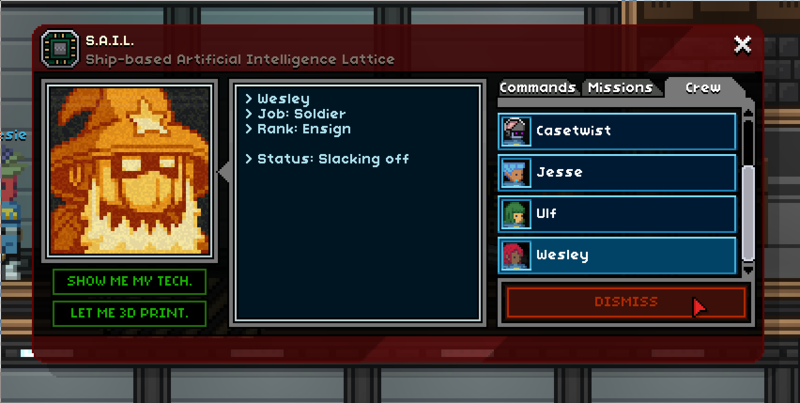 Goodbye Wesley, you slacker. And hey, look! We’re implementing loads of new dungeons! 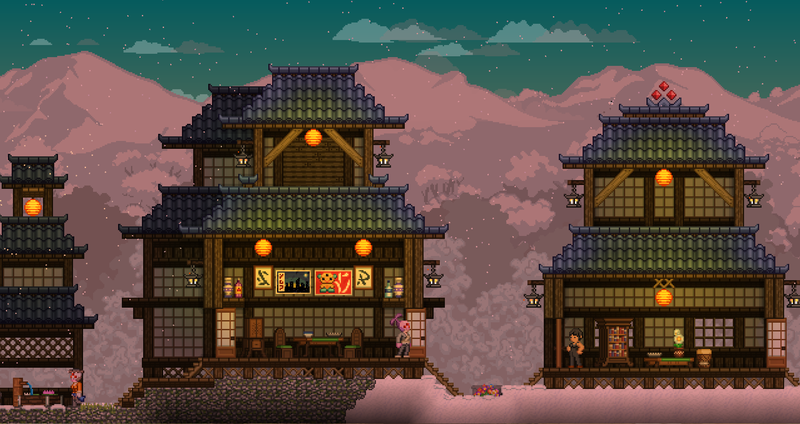 Hylotl villages are here and they are so pretty.